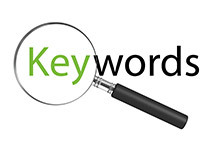 When looking for keywords that will help drive traffic to your site you need to find a balance of ones that have high search rates but also ones that a lot of people are not using. This is normally my approach, but things do change a little when I start looking at ranking keywords for local search. Last year I proved this with the one page site I built, cellphonerepairlancasterpa.com which generates steady business for my customer. Today I released another site masonrylancasterpa.com. Now this site only has about 30 people a month searching on the exact match domain name, and key phrase, masonry lancaster pa But that search phrase is very specific and thus will generate the right traffic to the site. The site is keyword optimized and contains all the pertinent information for Weaverland Masonry, such as services and contact information. It also contains a link to Weaverland’s main site. I suspect it will not take long until this site is ranking #1 in google for the targeted keyphrase, and first page results for similar searches. In this case it will be much better to have 50 to 100 searches of the right traffic, rather than 1000 people land on the site with less specific masonry type searches, especially those that are not local. Targeting people that are looking to get masonry work done, in a local area, means less bounces, more people clicking to the main site, and quality leads that will convert to customers. In a business such as this, even a couple extra jobs per month can make a nice difference with the bottom line. When I now look at the cell phone repair site, I see it rank number one for its exact matching domain name, and lots of top results for many variations of cell phone repair in Lancaster. About 300 people reach the site searching for specific cell phone repair services in the Lancaster area, and about 60 per month click to the main site, even though I suspect many contact the store even without visiting the main site. The site has a low bounce rate and generates a steady flow of business for this customer. I am looking forward to seeing the same type of results with the new masonry site.